As you know, we moved up north this summer, and while we have adjusted to the new location/surroundings, we have also become really busy in getting involved around here! So this is an update on what we’ve been up to, and what this busy momma has been doing! As far as the volleyball season went, we lost in Round 2 of Regionals, ending a solid season of my first year of coaching varsity. I had a ton of fun with the girls and they developed a lot as individual players and as a team. It was exciting to be a part of it all. I’ve been working at the YMCA in Rhinelander, starting out with just teaching swim lessons and lifeguarding. I have since become a Fitness Coach as well, and now I work some mornings in the Wellness Center. This gives me a great opportunity to have more face-time with people and meet more triathletes! A mother of one of my swim girls also asked me if I would be interested in coaching the Under 8 kids in the Rhinelander Swim Club. As a result, coaching for the swim club started up the week after volleyball was done, and it will continue until around the time of Track & Field in the spring. This is a lower level of commitment though as it is only three days per week for an hour. I ran the Ashland Whistlestop Marathon in October. I did the majority of my training for it on the Three Eagle Trail here, which runs from Three Lakes to Eagle River and is about 13 miles in length. It is a crushed limestone trail and is in very good condition. I was expecting that the Ashland trail would also be in a similar condition, but I ended up being very disappointed by it. Not only were there very soft, sandy spots, but there were also larger rocks that were rough on the feet. It was still pretty scenery of course, but nothing can compare to that of the Three Eagle trail, which winds and curves its way through the woods, and has sweet boardwalks to cross as well. It is absolutely gorgeous. So after I got back from the marathon, I contacted the head of the Foundation for the Three Eagle Trail and now we are in the midst of planning for a Half-Marathon and 5K run on the trail October 11th of 2014, and I will be one of the race directors for it! I am very excited about this endeavor, and so glad to have Andy on board with me as well, as he is doing the logo and helping with stuff that is online or in print. More information will come about this later on! While working in the Wellness Center, it became apparent that others recognize me as “the swimmer.” While I find it amusing to be viewed as such (after all, I did just learn to swim properly less than 2 years ago), it has also been great in generating interest from others who would like to learn from me. As a result, I will be leading an adult freestyle swim clinic in December, aimed at triathletes or any other adults looking to improve their freestyle swim. I’ve taken part in two clinics in the past, and I have been using the model that I learned through them when I work with other adults, and I look forward to spearheading my own clinic this time around. I would also like to pursue the formation of a Triathlon Club of the Northwoods at some point. 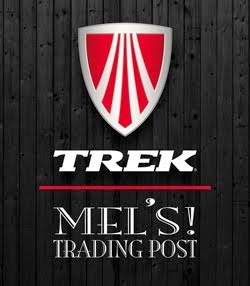 There are not a lot of triathletes around here (I discovered that very quickly as I walked into the Trek retailer and discovered no tri bikes on the floor), but I am finding a few here and there and hope to create a network of us that can connect with one another, learn, and get some group workouts in! I have also been in conversation with another potential sponsorship, but at this point, I won’t leak anything just yet! Hopefully a post in the future will hold some great news. Other than that, I have been keeping up with training, for the most part anyway. I am now in a swim focus training block, and so I will be spending a good deal of time in the pool, while maintaining my run fitness and starting to add some intervals to the bike sessions occasionally again. Andy and I have been discussing the potential races for next season as well. Currently, I am only registered for one at this point – USAT Nationals 2014 in Milwaukee! That’s right, I qualified at both Chisago Lakes and Pigman and plan to race at Nationals on August 9th! One other big item that has kept us busy is that we have been looking at houses! We have one in our sights and hope to close on it soon. More details on that in an upcoming post!